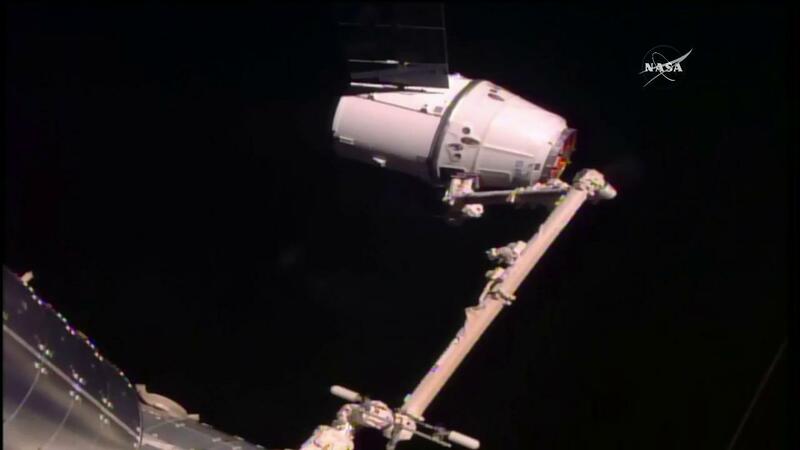 While the International Space Station was traveling about 250 statute miles over the west coast of Australia, Expedition 50 Commander Shane Kimbrough of NASA and Flight Engineer Thomas Pesquet of ESA (European Space Agency) captured Dragon a few minutes ahead of schedule at 5:44 a.m. EST. NASA Television coverage of installation will begin at 8 a.m. Watch online at www.nasa.gov/live. To join the online conversation about the International Space Station and Dragon on Twitter, follow @Space_Station and use #Dragon. For more information about the SpaceX CRS-10 mission, visit www.nasa.gov/spacex. nice flight.not much to say.i’m thinking.